Timothy Leggett Convicted of Murder, LIVINGSTON, November 25, 2013 - At 9 am on November 25, 2013, closing arguments in the Timothy Eugene Leggett murder trial began. Prosecutor, Polk County District Attorney, Lee Hon clearly made his case to a Polk County Jury of twelve. With his words, Hon drew a picture of a man who, on the night of the crime, was probably intoxicated and senselessly grabbed a rifle and murdered a boy who had done nothing to warrant such horrible act. Hon pointed out that Leggett tried to have his wife take the fall for him, while he started a new life with another woman. Video tapes played for the jury showed Leggett being interviewed by Detective Craig Finnegan and Ranger Ron Duff. Leggett clearly admitted to shooting the rifle and said the truck was doing donuts in his yard. He repeatedly stated that the driver, Rhett Lathan and his passenger, Tanner Martin were cussing, hooping and hollering. He tried to justify his shooting saying that there had been break ins in their neighborhood. When duff pressed Leggett about the truck driving away, and how that could be interpreted as threatening, Leggett stated that he was only trying to scare the boys. Site reconstruction investigation clearly shows no evidence of a truck doing donuts in Leggett's yard. The investigation clearly showed that the bullets were fired as the truck was pulling away. Even the entry and exit wound to the murder victim, Rhett Lathan, was from behind. In the taped interview, Leggett admitted that he heard Tanner Martin holler for someone to call 911. Hon asked the jury, "If he was in fear for his life, why did he wait twenty minutes to call 911"? Hon explained that a normal person, having just used justifiable deadly force would immediately call 911. "I'll tell you why he waited 20 minutes", Hon said, "...he needed time to make up the story that it was his wife who did the shooting". "So many what ifs", Hon lamented. "what if Rhett Lathan had home that night"?, "What if he'd gone to a calf roping competition that weekend"? "...but the biggest what ifs in this senseless crime is, What if the defendant hadn't been drinking that night"?. He continued, "What if he hadn't picked up that rifle fired five shots into the truck"? Punishment phase of the trial will be held later today. Day 1 of the trial is listed below with links to the entire story. Livingston, November 13, 2013: Timothy Leggett (left) sits next to his Lawyer, Tom Brown in Judge Kaycee Jones' court. Leggett is on trial for the October 2012 murder of Rhett Lathan. Timothy Leggett Murder Trial Underway, LIVINGSTON, November 19, 2013 - At 9 am on November 19, 2013, the murder trial of 31 year old Timothy Eugene Leggett got underway in District Judge Kaycee Jones' courtroom in Livingston. Leggett is on trial for the October 2012 murder of Rhett Lathan (Lathan was only 16 at the time of his death). Prosecutor Lee Hon called his first witness to the stand, Rhett Lathans' mother, Tabatha. Tabatha Lathan was emotional and had to pause multiple times during her testimony. She spoke of how her son had a passion for baseball and that he was a pitcher, and he loved calf roping and general outdoors. She began to cry when she told of how her son, Rhett had called her on the night that he was murdered. "He asked for permission to spend the night at Tanners" she said, "...if I had said no, he would still be here" she paused and began to weep. The whole sad incident went down on the night of October 12, 2012. Rhett Lathan and his Friend Tanner Martin had spent most of the day together. Earlier, they had acquired some beer and had been drinking, but reportedly not very much. The two had heard that there was a party going on at a friend's house. That friend was James "Boogie" Sangster. Sangster was their age and lived at home with his parents, Rachel Leggett (his mom) and Timothy Leggett (step father). Rhett Lathan was driving Tanner Martin's truck. The two pulled up into Leggett's driveway. They saw there were no cars at the residence and there appeared to be nothing going on. Rhett turned the truck around and began to pull away. According to Hon, that's when at least five shots were fired. Three shots hit the truck. One shot struck Rhett in the back of the head. The .22 caliber bullet went all the way through his head. Lathan slumped over the center console of the truck and into Tanner Martin's lap. Martin managed to get into the driver's seat and pulled away. He drove to Livingston Memorial Hospital. Lathan was in cardiac arrest. Doctors used CPR to revive Lathan's heartbeat. He was treated and flown to Hermann Hospital in Houston. Twenty minutes after the shooting, Timothy Leggett decided to call 911. Livingston Police, Deputies from the Polk County Sheriff's Office, and Troopers were summoned to the Leggett's house. Leggett's wife, Rachel confessed to being the shooter that night and was booked into Polk County Jail. But there were inconsistencies. For example, Timothy Leggett claimed the kids were doing donuts in his yard, but troopers could not find any evidence to support that claim. The next day, October 13, 2012, Rhett Lathan passed away at Hermann Hospital. The charge against Rachel Leggett was now elevated to the charge of murder. As the investigation moved along, things didn't seem to add up. In December of 2012, Boogie Sangster showed up at the Sheriff's Office and asked to speak with investigators. Sangster told investigators that his mom didn't do the shooting. Later, Rachel showed up and claimed that it wasn't her that shot, but that it was her husband, Timothy Leggett. A short time later, out of concern for his mother, Sangster spoke with Timothy Leggett and allegedly used his cell phone to record Leggett stating that he would confess to the crime. Eventually, Timothy Leggett did confess to being the shooter. He told investigators that he was trying to scare the boys. Defense Attorney, Tom Brown contended that it was Rachel Leggett that did the shooting. Brown told the jury that Rachel Leggett fired the rifle and thought that she was acting in accordance with the stand your ground law. Brown insisted that Timothy Leggett was forced into a confession by investigators. He added that Timothy Leggett was not very smart and had attended school at Goodrich ISD where he was in special education. The trial is expected to last all week and possibly into next week. 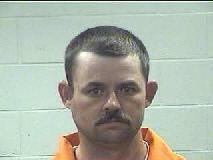 At the time of the shooting, Timothy Leggett was on probation for driving while intoxicated. He was arrested for DWI on February 11, 2011 and on August 27, 2011.